The cryptocurrency market has undergone a great deal of turmoil over the past year or so. The idea of a cryptographically secure decentralized ledger laid the foundation for the creation of Bitcoin. It was not until the rise of Ethereum a few years ago, however, that the true potential of decentralized apps really began to gain steam. The world was slowly coming around to the benefits of transparency, automation, and the seamless and trustless verification of exchange that decentralized applications, or DApps promised. These benefits are what fueled the crypto boom. They resulted in countless projects raising untold millions to “revolutionize” everything from fintech and healthcare to education, government, transportation, social media, agriculture, and the rest in between. While cryptocurrencies still hold the promise of making systems of every type faster, more efficient, more transparent, and more reliable, the crypto market as a whole had slowly morphed into one fueled by speculation, not actual development. For example, this report highlights the fact that thousands of crypto projects, promising a revolution in their specific industry or niche, did not really deliver anything of value. There has simply been too much speculation with regards to coin, token, project values, and what these various projects actually intend on developing and delivering. Furthermore, the wider public simply did not, or does not, understand what they are getting into when they invest in such initiatives. Although the crypto space grew slowly over time, it very quickly ballooned by several hundred billion to over $700 billion in value by late 2017. Maintaining hundreds of billions of dollars in spurious valuations that were supported by crowdfunded crypto projects that did not necessarily follow clear audit, financial, or governance protocols and that did not as yet actually deliver or produce anything of value was simply not in any way sustainable. The exponential growth of the crypto space, without a commensurate growth in actual value-added services and adoption that could give those valuations a sound and realistic basis, needed to be reined in. To put it another way, in the eyes of regulatory bodies, all of the above meant that crypto projects did not operate in the interest of the public, so regulation was necessary. This is why we have seen the SEC refuse numerous exchange-traded fund applications (ETFs), official bans or tightened crypto regulations from the central banks and governments of countries as diverse as India and South Korea, and the market subsequently shrinking to a fraction of its size from about a year ago. While these developments may put off the speculative investor, not all is lost. According to Peter Du, a prominent Asian investor with Du Capital, there are still silver linings to the story. Take the now delayed Ethereum upgrade that was scheduled to take place a few days ago. Ethereum, one of the most prominent cryptocurrencies today, is undergoing the upgrade to change the way the Ethereum network functions. Since hundreds of projects function on ether, the native token of the Ethereum blockchain, this upgrade will have a ripple effect in which we may see many coins and tokens being marginalized. However, over time, it is the discerning investor that will prevail. 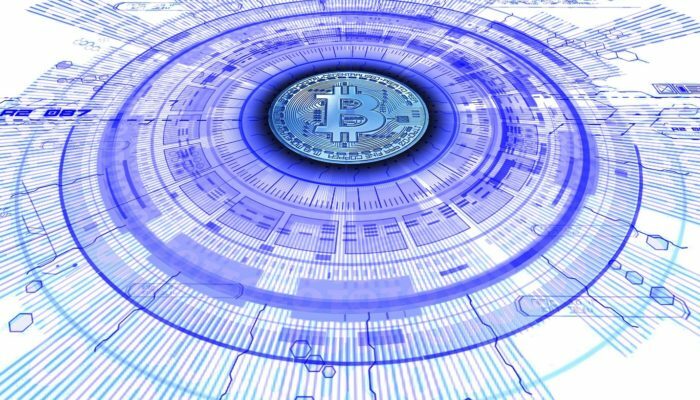 What is more important than speculative booms and busts is the long-term consolidation of the crypto market as a whole; the development of useful tools and services that can be mass adopted and implemented on a wide scale will do more for cryptocurrencies in the long run than the latest fad or flavor of the month that baselessly promise to disrupt an industry. While speculation is still rife in the crypto space, we’ve all had an opportunity to learn a valuable lesson over the past year or so. Can cryptocurrencies revolutionize the way the world works? Yes, they most certainly can. Will they? Yes, they most certainly will, but not overnight. What we need to realize is that nothing works in a vacuum, and there is no such thing as an overnight success; crypto’s unimpeded fall from all-time-highs a year ago are proof of this. The real value comes from delivering services of real value, and you have to operate in the real world, with real customers, within real limits, and in a collaborative fashion between developers, investors, users, and policymakers. We either all win together, or we all lose together. Blockchain is perhaps the single most revolutionary technological innovation since the microchip, one that can impact the globe on a level rarely seen before. As Mr. Du says, not all is gloom and doom. SEC regulations, dropping crypto prices, instability in the market, and reports of uncertainty and doubt are nothing but growing pains for this market. It is the government pumping the brakes, trying to come up with policies and rules that can help regulate this rapidly advancing technological space. It is DApp developers realizing that they cannot get away with crowdfunding millions but not delivering anything of value. It is the ecosystem as a whole realizing that we need all the right building blocks in place before we can deliver on promises of the revolution. Are things slow now? Yes, most certainly. But once everything is in place, blockchain will show that you truly cannot stop an idea whose time has come.